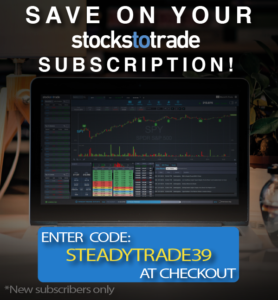 It’s time for your monthly update on The SteadyTrade Paper Trading Challenge. This week’s episode focuses on Stephen Johnson’s team, which has dwindled from three to two since last month’s dismissal of the first contestant from the Challenge. This month, every trader’s virtual balance for paper trading was lowered to well below the PDT. So how are Liz and Jude doing? For the first time in the Challenge, both Stephen and co-host Tim Bohen meet with the contestants, offering praise, commentary, and a little constructive criticism. Note: Don’t miss this episode on YouTube! 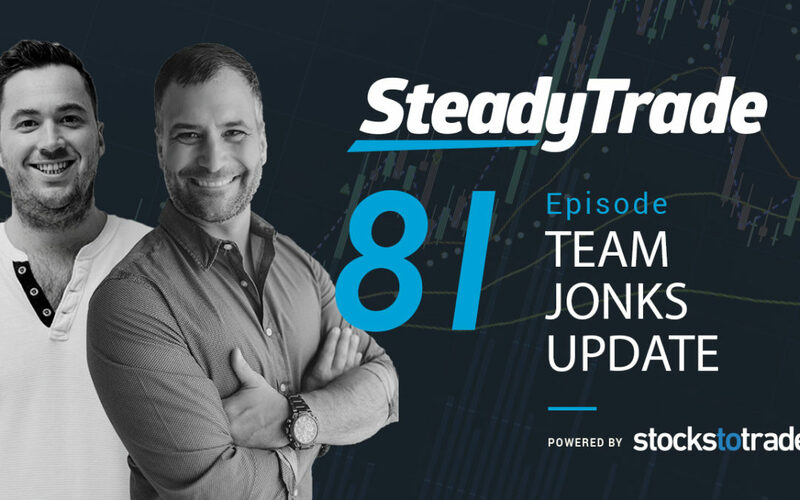 While evaluating the contestants’ trades, Stephen and Tim show plenty of charts and data that will help traders understand the concepts and principles discussed in the episode. Both Liz and Jude are having trouble contending with the PDT. Short for pattern day trading rule, this is a FINRA rule stipulating that day traders who have an account of $25,000 or under are limited in how many day trades they can execute within a rolling five-day period. Many traders with small accounts have a love/hate relationship with this rule. On one hand, Stephen argues that it forces traders to only commit to trades that they feel really, really good about. On the other hand, as Tim puts it, “the road to hell is paved with good intentions.” While the rule was ostensibly put into place to protect traders, he argues that it can also lock them into unwanted positions and cause a lot of stress. Currently, Jude is $400 in the green. But she’s admittedly having trouble. For one, she’s having difficulty establishing a reasonable schedule. Being located in Canada and on the West Coast, she’s three hours behind the market, so her trading day starts very, very early. She’s concerned that even if she’s able to wake up at 5 a.m. to prepare herself, she’s still not mentally ready to trade in the wee hours. West Coast traders and night owls should listen up: Tim and Stephen offer their thoughts on how to time trades when you can’t (or don’t want to) trade first thing. Is it best for new traders to do most of their trading later in the day? Or is it better to try to wake up early? Trade-wise, Jude is doing a lot right with choosing great stocks. She’s great at cutting losses quickly. But is she cutting her profits too quickly, too? Stephen and Tim pull up the charts and offer critiques on Jude’s recent trades, discussing what she did right and wrong. Be sure to check them out on YouTube! She’s flipped upside down from the last update, and her account is over $18K at the moment! Nonetheless, Liz is also struggling with the PDT rule. It’s cramping her mad style as she tries to make shorting moves to take advantage of the January effect. Rather than letting it get to her, though, Liz is making use of her time. She’s studying a lot, and offers up her favorite webinar and video resources as of late. Stephen and Tim are both impressed with Liz’s “nice bounce” but worry that she’s being too cavalier. Could she be playing paper trading like a game rather than learning how to deal with real money in trades? They both offer analysis on Liz’s most recent progress, including offering feedback on why she (and you, dear listener) should always be looking at the daily chart rather than hyper-analyzing 1–2-minute moves. Liz has also been struggling to find success with short selling. Should you wait for the bottom to break or wait for resistance? Where’s the wiggle-room zone? Do you have a question about the Paper Trading Challenge? Drop it in the comments below, or on YouTube or the blog. Love the podcast. Very helpful. SO helpful (and fun)! Thanks to you all. Good advice Steven, I think the girls are doing great, much better than I am doing. I started in Aug, 2018 and trying to follow Tim’s advice in STT Pro, but still having trouble with the basics. One more note, Steven you should put pants on when your are doing podcasts.